Harley-Davidson is already one of the most cult-like brands on the planet, but even they aren’t immune to market challenges. In 2012, they approached Cult to help them gain relevance amongst millennials and other emerging segments, such as women and immigrants. People who didn’t grow up with aspirations of one day owning a Harley. Over the next few years, Harley relied on Cult to help them launch new motorcycles, and exploit digital media to further amplify the true meaning of Harley-Davidson. Freedom, independence and excitement. Using a comprehensive database of proprietary client research, Cult launched multiple non-traditional campaigns designed to target and resonate with very specific new audiences, in underperforming geographic regions known to house desirable customer segments. For example, we designed and implemented a country-wide customization competition aimed to attract a much younger audience than they had traditionally targeted. 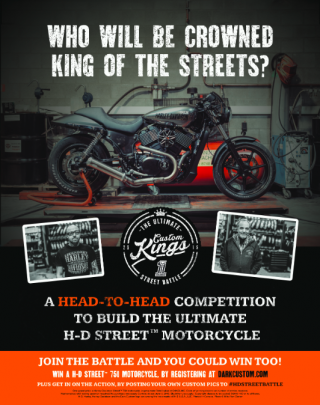 “Street Battle’ was a customization event for their new, smaller, less powerful Street motorcycle. It lived entirely in the Digital space, and included a new microsite which showed off the new bike, along with aggregated social media feeds—all showcasing and documenting every single participating dealer’s efforts at customization, from start to finish. The winner was crowd sourced by people voting online, and on the streets themselves. We also create a “First Time Harley” campaign, sending a team of first-time riders on a 10-day excursion, to dispel the myth that Harleys were only bikes for already seasoned riders. They were dispatched along with a film crew, who documented the entire experience. 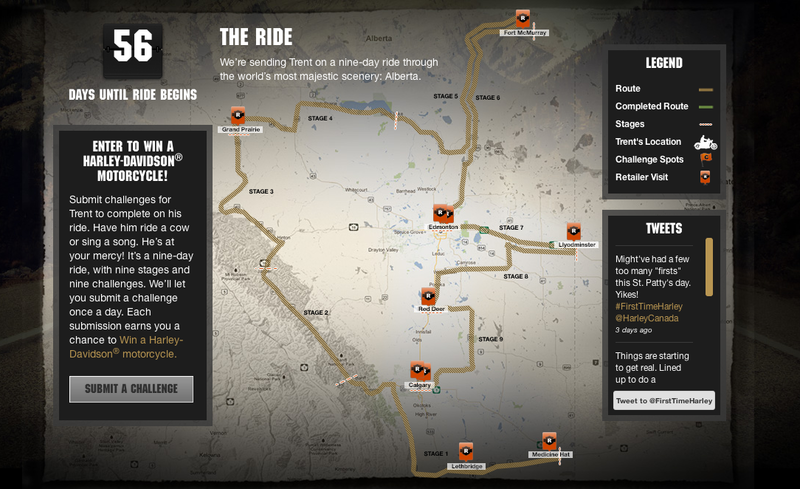 Viewers could submit fun challenges for the riders to complete each day, and the resulting stunts were recorded and posted live to the website within 24 hours. Other elements included cinema, print, out of home and online advertising. This activation grew into Cult managing Harley’s ongoing social media community management, helping them engage with followers on Facebook, Instagram and Twitter. We also helped facilitate the launch of the LiveWire, Harley’s new electric bike, with roadshow events, PR, customer appreciation, and test-drive experiences. Harley bike sales were up 11% compared to control markets for the First Time Harley campaign. Subsequent Cult-enabled campaigns over the following three years also saw meaningful sales lift. We also helped grow their social engagement by tens of thousands of followers and developed new online marketing competencies via playbooks adopted by their franchisee network.